Ok. 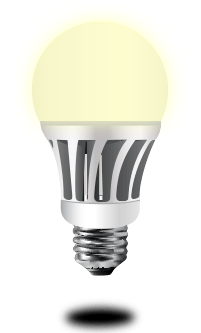 So in our last episode, we talked about how the genesis of the light bulb was actually 200 years before Edison “brought it to light.” Now, in this episode, we’re exploring LED lighting because, well we’re an LED lighting company, so why wouldn’t we..? And, because LED lights are EVERYWHERE! From street lights, smart phones, traffic signals, you name it! Legend, and the internet has it that the Light Emitting Diode was created back in 1962 on October 9th by a gentleman name John Holonyak. John grew up in the Midwest and used to work with his dad on their car, a Ford Model T. He came up with different ways to keep the car’s engine running. John loved his dad, but he didn’t want the life that his dad had, which was the life of a coal miner. So, at the age of 15 he started working at a Railroad company so he pay for college. He studied electrical engineering, of course, and continued his education all the way to the doctorate level. In 1954, he started developing silicon-diffused transistors and thyristors, so in 1957 GE hired him to continue working with silicon because, it made money. Holonyak wanted to push the envelope and work with semiconductors. He kept working until he developed what was called “alloy 3 – V crystals. This alloy emitted a visible red light, bringing to life the first L.ight E.mitting D.iode or LED for short. After this accomplishment, John headed back to his Alma Mater, the university of Illinois in 1963, he joined the Electrical Engineering Department and guided thousands of students in further developing LED technology.